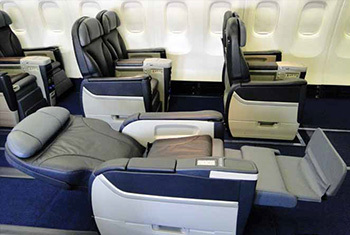 We are planning on using the Boeing 767-300 and the 737-400 aircraft for all our flights. The 737, a short-to-medium-range airplane, is based on a key Boeing philosophy of delivering added value to airlines with reliability, simplicity and reduced operating and maintenance costs. In addition, the newer 737 models offer a modern flight deck using the most advanced navigation technology available today. Airlines can choose to provide their flight crews with either the latest display format, common with models such as the 777, or opt for data format commonality with earlier 737 models. 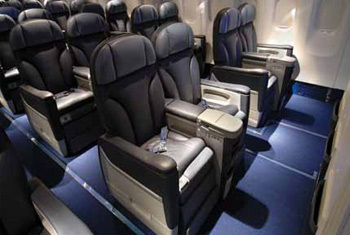 The Next-Generation 737 family is currently offered in three sizes, ranging from 120 to 220 seats. Airline customers who were involved in the development of the Next-Generation 737 models delivered a very clear message: They wanted advanced technology that allows for simplicity, reliability and low cost -- not just technology for technology's sake. They also wanted flight-deck commonality with earlier 737s. In addition to airline customers, Boeing chief mechanics and field service representatives participated in the airplanes' development. The reliable and versatile 767 has evolved to efficiently meet changing market requirements. Today's efficient 767s are the result of continuous technology enhancements designed to maintain its preference with airlines and their passengers. The 767 offers benefits such as the advanced avionics, aerodynamics, materials and propulsion incorporated into the highly efficient passenger airplanes. Schedule reliability is over 98 percent for the 767 and fleet-wide, daily utilization is more than 9 hours. Since its inception in 2000, the 767-300s Extended Range variant, the 767-300 ER has become the most frequently used airliner for transatlantic flights between North America and Europe.